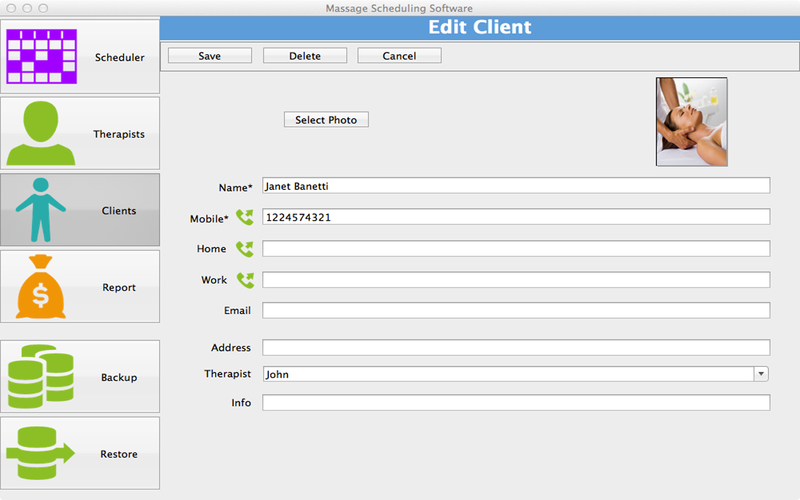 The Massage Scheduling Software is designed specially to be used on Mac (OS X). The software can easily facilitate all kinds of massage therapists and other professionals that offer manual therapy such as chiropractic, acupuncture, osteopathy, reflex point therapy, spinal manipulation and sports medicine. The Massage Scheduling Software is easy to use, simple software that can be operated by anyone without any difficulty.